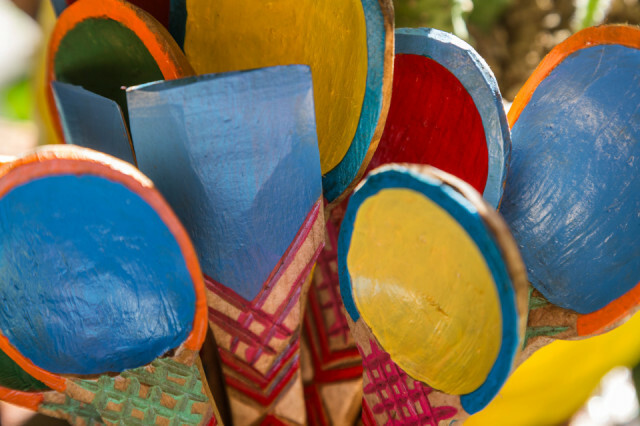 When we were last in Pátzcuaro we had purchased a number of items including these wooden utensils. They had a certain rustic look to them, especially the interiors of the spoons. My wife, ever the artist that she is, took it upon herself to fix the spoon bowls and add some additional color. They were sitting on her workbench this afternoon when I noticed how photogenic she had made them.